This is a spoiler alert for those of you who haven’t seen the movie yet! Close your eyes and look away…..
On Wednesday, June 21, 2017, a group of the Detroit Il Volo gals ventured to Bloomfield Twp. Michigan to the Maple Theatre to see the Notte Magica movie. I had heard a few reviews/comments from Victoria and Jane, so I kind of knew what to expect. They both told me there were a few clips that we hadn’t seen before of them playing around, a short bit from the Home and Family show and a quick excerpt from the LA concert at the Dolby. They also showed a quick pic of them with Priscilla Presley. Yep, that was all true – I think I had seen a few of the clips before, as well on some form of social media. Then, as they both said, it went into the Florence concert with a few subtitles here and there, but basically it was similar to both DVDs of the Italian and PBS versions and in English. However, as I recall, there was a constant camera going back and forth in front of us when we were there. I have to tell you, with all the camera work going on, it was clear that this movie was part of their master plan of the future. The footage that was shown in the movie was far superior to either of the DVDs. Many shots and scenes were the same, but there were others that were not shown before here and there. I have to say, seeing them on the big screen, so much larger than life, was incredible. The close-up shots were fantastic and so close and clear, that you could count the hairs on their chins! It was almost the entire concert, but no songs other than what was shown on the other DVDs. They did not show Adeste Fidelis, which I can’t figure out why they sang it and then just cut it out of the final cuttings. O Come Let us Adore Him – yes, O Come Let us Adore Them!! Any time, any place, we will be there! Before the show, we enjoyed a meal at the little café, right inside the theatre lobby area. A little pricey, but nice and convenient. We also met another Il Volo fan group from the area – Lynn Delaney and friends. This was her second time of seeing the movie. She said she enjoyed it the 2nd time, just as much! So, for those of you who have not seen it yet and it comes anywhere near you, I would highly recommend it. It is just about 2 hours long – they tag it as 110 minutes. If they decide to release it on DVD, it is definitely going to be part of my collection! A concert-event that brings to life magical moments from Il Volo’s World Tour 2017 – from the backstage of their March performance in Los Angeles to the birth of their tour with Plácido Domingo in the magnificent setting of Florence’s Piazza Santa Croce. The event features the concert along with never before seen, cinema-exclusive footage. This trio of young Italian tenors, today’s operatic pop phenomenon, have delighted audiences in prestigious venues worldwide. Il Volo started their US tour with a sold-out show at New York’s Radio City Music Hall and then performing in 15 concerts. The cinema program highlights a recent concert at Los Angeles’ Microsoft Theater, where Maestro Placido Domingo joined the trio on stage. Ignazio, Piero and Gianluca are now touring Europe and Italy. This film-concert is distributed worldwide by Rising Alternative beginning from June 2017. Images including stage and media appearances, rehearsals with Plácido Domingo, backstage moments and audience reactions during the US tour will precede this first concert exhibition, mastered for 2k Digital Cinema presentation in surround sound. This title has already been booked into cinemas in about 20 countries: in Finland where it opens on June 7, in Spain June 13, in the USA beginning from June 13, in Italy June 15, in Switzerland June 15, in Ecuador June 19, in Slovakia June 20, in Mexico July 9 and 13, in Austria September 14 and in Brazil, Peru, Colombia, Poland, Hungary, the Czech Republic, Germany, Denmark, The Netherlands and Ireland on dates to be determined very shortly. This project is a tribute to the Three Tenors. In 1990, José Carreras, Plácido Domingo, and Luciano Pavarotti performed their legendary concert at the Baths of Caracalla in Rome, and now, 27 years later, Il Volo’s Piero Barone, Ignazio Boschetto and Gianluca Ginoble honor the legend of The Three Tenors by bringing this iconic classical music to new and familiar audiences. 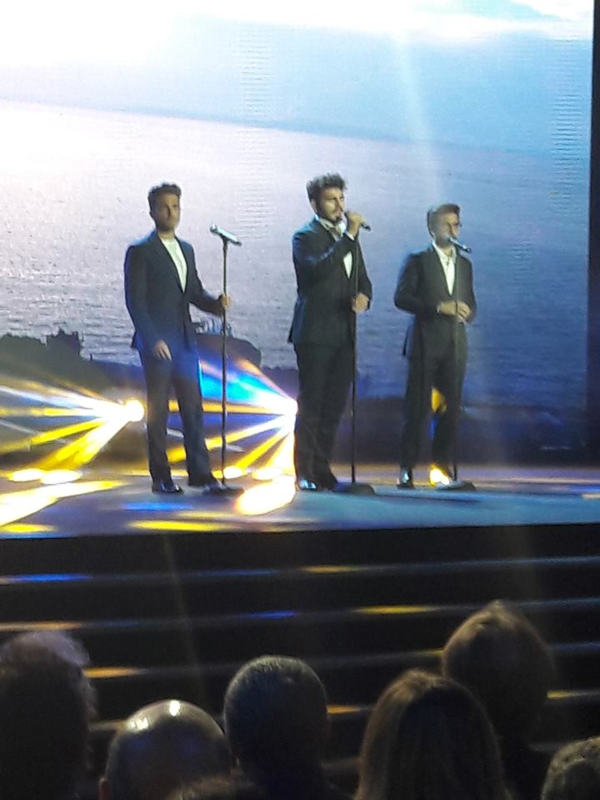 Il Volo grew up listening to them, being fascinated and inspired by their voices and legendary achievements. NOTTE MAGICA Tour 2017 kicked off with the concert in Florence – Piazza Santa Croce with the great orchestra of the famous Teatro Massimo di Palermo conducted by Maestro Ramón Tebar. As a special guest, Maestro Plácido Domingo also participated in the concert, conducting some of the operatic arias and popular songs. 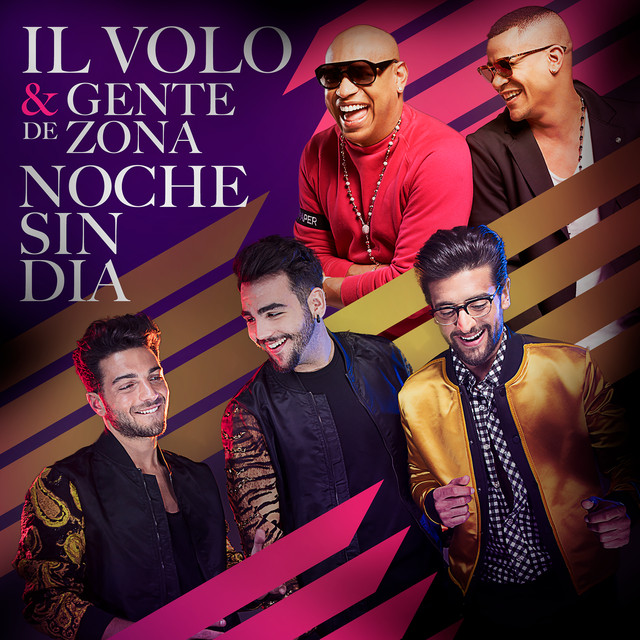 Il Volo “Notte Magica” in Cinemas will show the group on tour and then singing some of the most famous Neapolitan songs and arias from the Italian and international opera repertoire – all of which were sung by the original Three Tenors. NOTTE MAGICA – a magical night tribute to The Three Tenors’ is a project conceived by Michele Torpedine, Il Volo’s creator, manager and producer and is distributed in cinemas worldwide by Rising Alternative, in collaboration with Sony Music Masterworks, Sony Music Italy, C Major Entertainment and SpectiCast. For those of you in Canada, it looks like the closest for you would be Vashon, Washington, which is between Seattle and Tacoma on the map. It doesn’t look like they have added any additional locations since a month ago, but you never know – keep looking! I have a lot of material and more coming through this morning. I’m going to step aside and let you enjoy as much of the journey as possible in two posts!